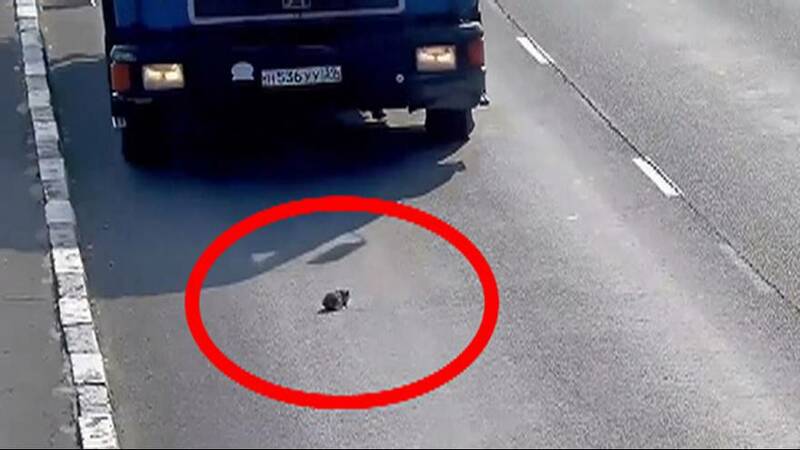 A kitten had a succession of near misses when it found itself in the middle of a busy motorway in Kaliningrad, Russia. At least 17 vehicles, including lorries, swerved to avoid the tiny creature before one driver pulled over to rescue it. The owner of the footage, who posted it on Russian social media site VK, said that the animal had fallen from a 4×4 and sustained only bruising from its ordeal.